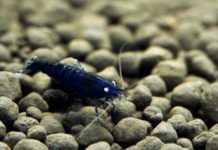 Understanding how to promote good water quality is the most essential aspect of maintaining a healthy aquarium. Maintaining good water quality should be one of the primary concerns for any aquarist. 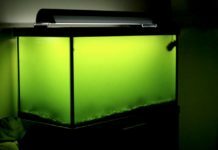 While there are many factors that affect aquarium water quality, there are those that commonly impact water in negative ways. 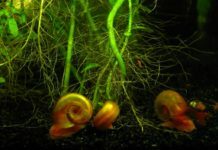 When balancing the ecosystem within an aquarium, freshwater fish keepers must be mindful of these potential problems and should strive to avoid common pitfalls that will adversely affect the health of the fish. 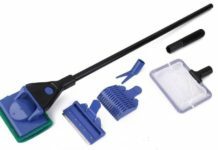 Water test kits are a wise and useful investment for any devoted aquarist. Many people tend to feed their fish cheap, low-quality fish foods. This can be problematic in several ways. These foods tend to be made of low quality ingredients that do not contribute much in the way of nutrition. As a result, fish don’t grow to their full potential, their colors and patterns are not as vibrant as they should be, and they may develop health problems because their dietary needs are not being met. 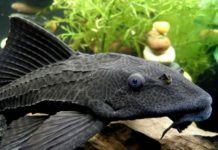 Poor quality foods also carry the potential generate cloudy aquarium water. However, the amount of food being fed to the fish has a direct impact on water quality. Many aquarists overfeed their fish, and eventually water quality issues arise. When it comes to feeding fish, feed sparingly, and only what the fish will consume in a few minutes. Extra food means extra waste. The tools and practices used to maintain water quality are crucial. 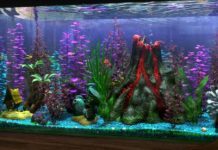 While it may be more expensive in the short-term, spending the extra money for high-quality aquarium equipment will save time, money, and frustration in the long-term. Water Changes – The single most important factor in maintaining water quality and fish health is a regular and consistent water change schedule. Small, frequent water changes (25-30 percent) should be performed at least once per week to reduce nitrates from the aquarium. Remember to de-chlorinate the water. 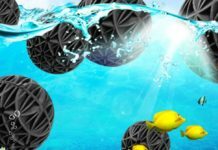 Filtration and Water Circulation – As water becomes polluted by fish waste, excess food, and organic matter, these substances need to be removed to avoid ammonia buildup. Filters make use of foam pads, carbon, and other forms of media to trap these substances and keep them out of the water column. Filters also serve the function of harboring beneficial nitrifying bacteria that break down ammonia and nitrites into less toxic nitrates. Regular filter maintenance should be performed to clean the filter media and ensure the removal of waste and nitrates. The number of fish present in an aquarium directly affects the quality of the water in which they live. More fish means more waste. This can become even more of an issue with large fish. Contrary to popular belief, there are no hard and fast rules for determining how many fish should be placed in an aquarium, such as the “one inch of fish per one gallon of water” rule. Often times these rules lead to overstocking and placing large fish into too small of an aquarium. 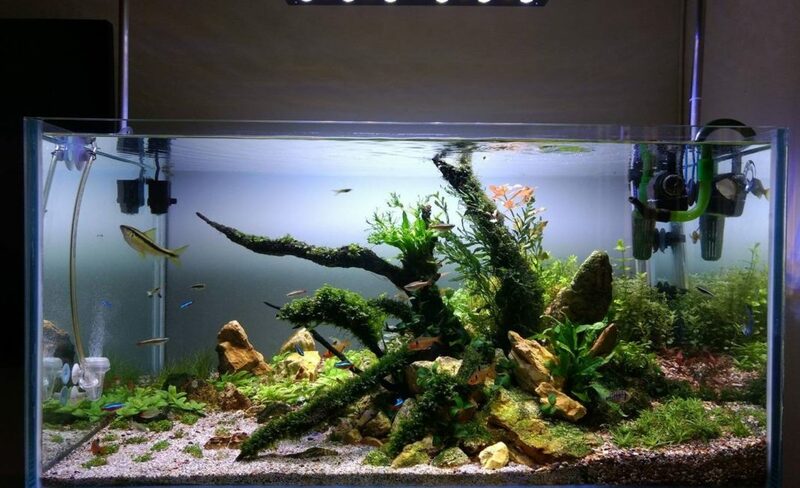 When stocking an aquarium, fish should be added slowly so as to allow bacteria levels in the water to adjust properly to the increased bio-load produced by the fish. The fish should never be crowded or have to compete for space or food (aside from normal aggression or territoriality). The more space and greater volume of water provided per fish, the healthier they will be. 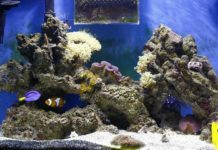 Being mindful of water quality and avoiding the common mistakes in fish keeping, like overfeeding and overstocking aquariums, will greatly increase the aquarist’s chances of success in the hobby. When in doubt, pretend to exchange places with the fish. Is there enough space to be comfortable and move freely? Is the environment clean and maintained regularly? 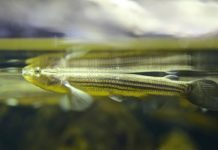 Answering and addressing these questions is the responsibility of any aquarist and is the key to keeping fish in good health.